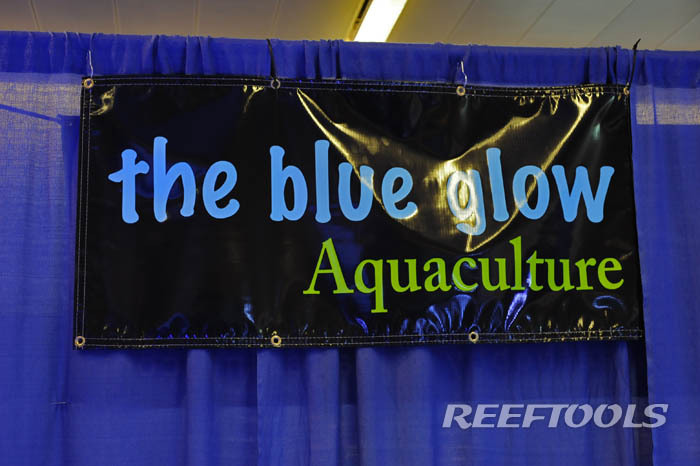 The Blue Glow was at the Midewest Marine Conference 2010 this past week, and we took a close look at their Acrylic Frag Racks. 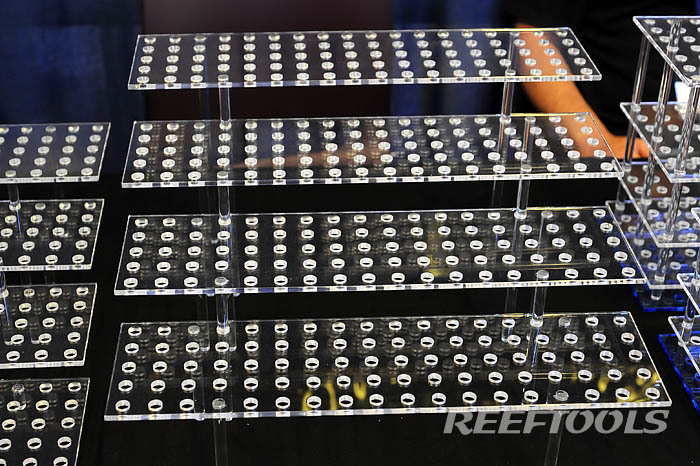 These completely customized acrylic frag racks are attractive, and help you maximize tank space. 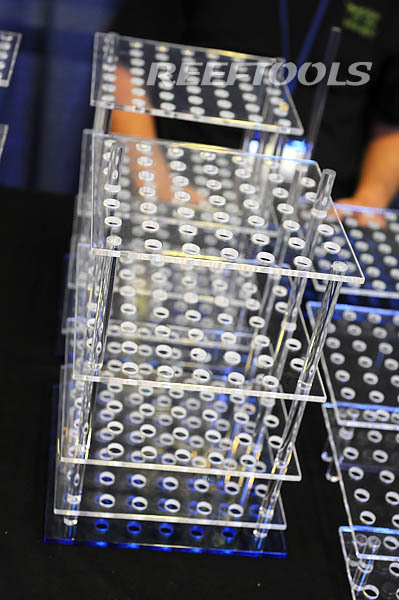 The standard shelves fit 90 frag plugs, and with their clever construction, will not restrict flow. Since each shelf can be used as a standalone shelf, they can easily be removed fro cleaning. The Blue Glow is happy to customize shelf sizes for any application, and retailers should check these out as they make terrific displays. 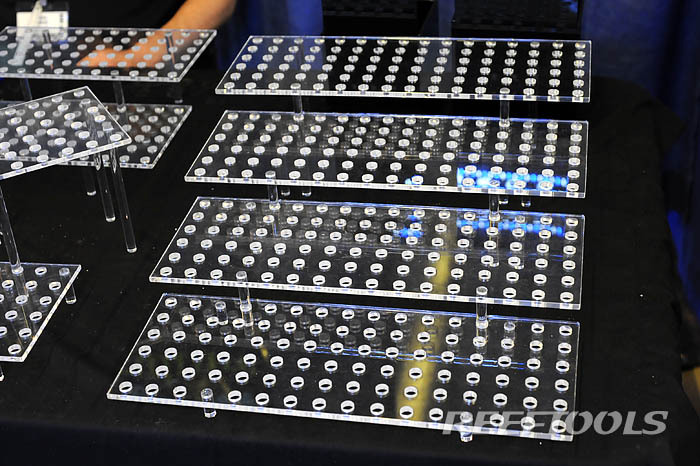 The “standard” unit is 4 shelves, measures 18″x17″x5.5″, accommodates 338 standard plug, and cost $89. A stackable option is also available for $54. That’s a LOT better than ugly eggcrate setups.